Torcedores are recognized worldwide as being the best cigar rollers and are greatly respected in their homeland of Cuba. In the Seinfeld episode ‘The English Patient’, Kramer brings his own Cuban cigar rollers to New York City, but they are merely Dominicans posing as Cubans. This causes Kramer’s financial backing to fall through and his latest entrepreneurial enterprise to fail. The Dominican’s go on to roll crepes in a restaurant, but roll them too tightly, causing filling to burst out of the pastry and burn customers. President John F. Kennedy signed the United States trade embargo against Cuba (which is still in effect today) in 1962… but the wily politician waited until he received 1,200 H. Upmann brand petit corona Cuban cigars before putting his pen to paper! 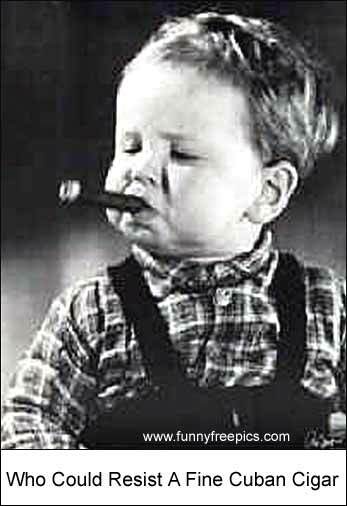 It was also revealed later that the trade embargo originally sought to have cigars be exempt. The whole ordeal has branded Cuban cigars as “forbidden fruit” within the U.S. Some Cuban cigar manufacturers moved their operations to the Dominican Republic so they could maintain a profitable partnership with America. It has been estimated that 95% of the cigars advertised as being “Cuban” and sold in the U.S. are counterfeit. Buyers beware when grabbing smokes across the States. 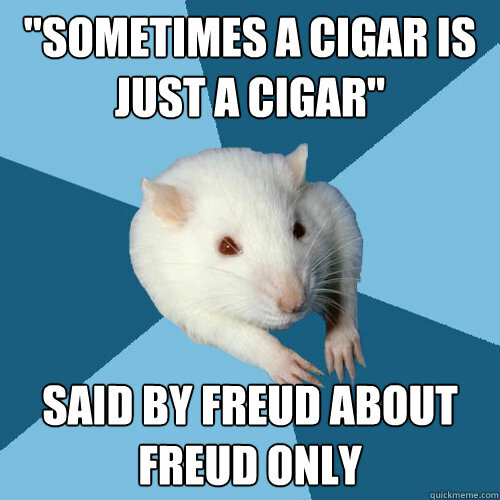 One Sigmund Freud (the famous and groundbreaking psychoanalyst) was a Cuban cigar aficionado. When asked about the phallic shape of cigars, of which Freud smoked about 20 per day, he replied, “Sometimes a cigar is just a cigar.” Freud’s smoking habit led to him suffering cancer of the jaw and eventually led to his death, which was done in an assisted suicide manner. The Cohiba cigar company was established to honour Cuban leader Fidel Castro, with products manufactured only for “friends of the Revolution”. The company finally launched commercial sales in 1982. Interestingly, Cohiba only employs female cigar rollers. Cuban cigars have gained their reputation and popularity as the world’s top choice in smoking thanks in large part to the country’s environment and temperatures. The island’s humidity makes growing and drying the tobacco leaves easy, especially the leaves used to wrap the cigar, said to be the most important part of the production. The U.S. trade embargo has also caused the cigars to gain a mystique about them, adding a quality of danger to the stogie, as well as driving prices up. Revolutionist, Che Guevara, once said, “A smoke in times of rest is a great companion to the solitary soldier.” That about sums up the item used to celebrate weddings, births, and other landmark events in one’s life. I don’t smoke very often at all, but every once in a while, it’s fun to light a cigar up and relax with a drink in the other hand. This is all preferably done in the comfort of a hot tub, so if anyone is offering, I’ll be over as soon as possible! 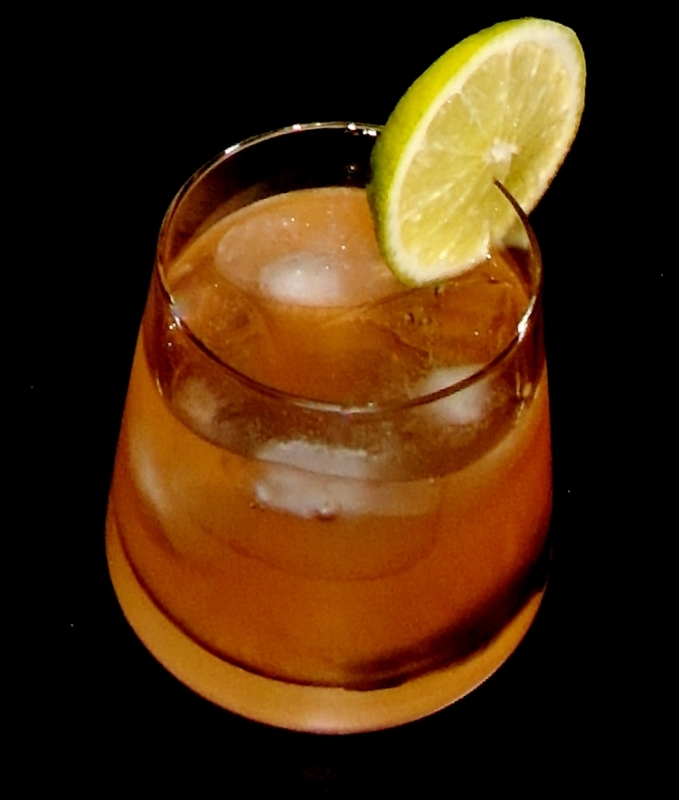 I don’t know what it is about Ginger, but it seems to work in cocktails, given your libation that extra little bite of flavour. I was worried that this drink would be quite strong with the high Rum quotient, but it wasn’t. It even passed the Mrs. Sip test!